Is the United States really allowing new uses of asbestos? We shouldn’t need to tell you about the dangers of asbestos. All forms of the naturally occurring mineral are known carcinogens, and its use has been banned completely in the UK since the turn of the millennium. While it continues to turn up in old buildings, products and on brownfield land, safety assessors across the country are working towards an asbestos-free future. It seems nobody has told authorities in the United States, however. Recent news stories suggest that the Environmental Protection Agency (under the stewardship of the controversial Scott Pruitt) is planning to allow new uses for asbestos, and reducing the scope of testing for the safety of these products. But to what extent is this true, and how big an issue would it be? Concerted efforts were made in 1989, 2002, 2007 and 2008 to push a bill through Congress to completely ban asbestos, bringing the US in line with more than 50 countries worldwide. The 2007 bill made it through the Senate, but was stopped by the House of Representatives after making compromises on certain uses of asbestos. The 2008 bill was more comprehensive, but failed to pass muster in either house. Lobbying is a particularly powerful force in American politics, and many firms have claimed that banning asbestos entirely would lead to job losses and additional expenses for many businesses and industries. Others have suggested that the use of asbestos products need not be dangerous as long as they are regulated and maintained properly. As detailed above, new uses of asbestos – i.e. those which have not specifically been excluded from EPA regulations – are still illegal in the United States. What the EPA is currently proposing is not strictly to allow new uses of asbestos, but to allow known but unregulated uses instead. 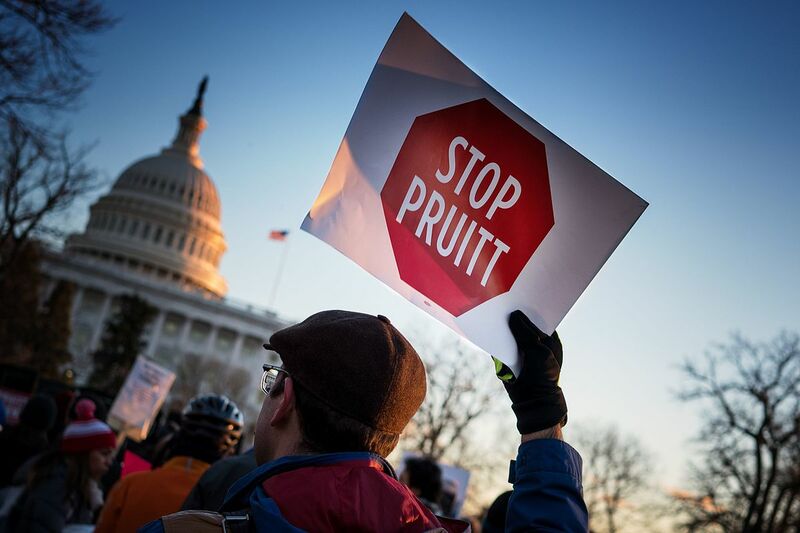 This significant new usage rule (SNUR) will therefore not allow uses that are not already known to the EPA, but could allow the widespread adoption of certain known uses, subject to regulatory approval. These uses of asbestos are not strictly illegal at present, but are largely dormant due to the lack of explicit approval and regulation by the EPA. The EPA claims that this is simply closing a loophole that allows the use of certain asbestos products without regulation. Critics say that it is formalising and approving the use of asbestos products that had essentially fallen out of use due to the ‘grey area’ of being unregulated. Is the EPA’s position on asbestos a problem? Many people see the continued use of asbestos for any purpose as being inherently dangerous, given the high cost of exposure. There is no safe level of asbestos exposure, with even minute amounts causing permanent lung damage, and contributing to deadly diseases such as asbestosis and mesothelioma. The international consensus on asbestos is a fairly rare example of joined-up thinking on a public health threat, and asbestos is not seen as necessary in a world of synthetic replacements. It is possible that the EPA has entirely pure intentions with their new SNUR. They may choose to ban the 15 existing uses after further testing, although this would still not be a comprehensive ban, with a number of other uses remaining unregulated. What critics see as the biggest problem is the way they will undertake that testing, as their scientific approach will not consider information from existing uses of asbestos, which provides key information on the current usage scenarios for asbestos, and the effects these have on human health. As well as not considering the impact of existing asbestos around the country, the EPA may seek to limit its definition of asbestos. Currently available documents suggest that the definition used in testing may not include some asbestos-like fibres in risk assessments, which can cause similar damage. They may also not consider the asbestos waste deposited in landfills and dump sites as an environmental threat, a position labelled as “ridiculous” by former EPA official Wendy Cleland-Hamnett. Asbestos is banned in more than 50 countries worldwide, including the entire European Union. The UN has also committed to ending the use of asbestos in all of its 190 nations by 2020, although it appears that this goal may not be met. Major nations still actively using or mining asbestos include Russia, China, Kazakhstan and India. Total bans have recently come into place in Canada and Brazil, but usage remains high in developing countries. In 2013, China used more than 570,000 metric tonnes of asbestos, some 765 times more than the United States that year. The fact that asbestos remains cheap and a reliable (if deadly) material means it still has value to countries seeking affordable building materials. Assuming they come to pass, the actions of the EPA may set a dangerous precedent for these other countries. The US may start to import more products from these countries, discouraging them from following the UN initiative. This would be a shame, as while asbestos can be controlled when it is inert, it should never be the first choice as a building material. The dangers are too substantial, and vastly outweigh the benefits of using asbestos. With luck, the EPA will take the right approach, and the world will continue to move towards an outright ban. SAMS offers both an online asbestos awareness course and a Kent classroom course. Book today or get in touch for further information, including details on our business consultancy packages. « Remember Remember The Highways Common Induction This November!